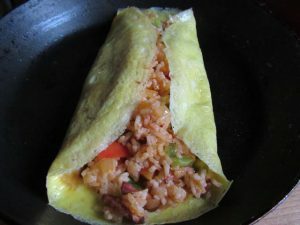 This dish originally comes from Japan, where it was created around 1900. 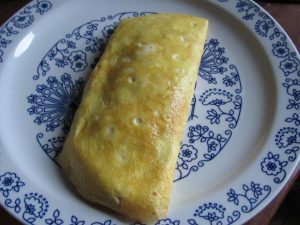 The omelette is usually stuffed with rice with vegetables and chicken. Ketchup is also very important, because it gives a specific, sweet taste. 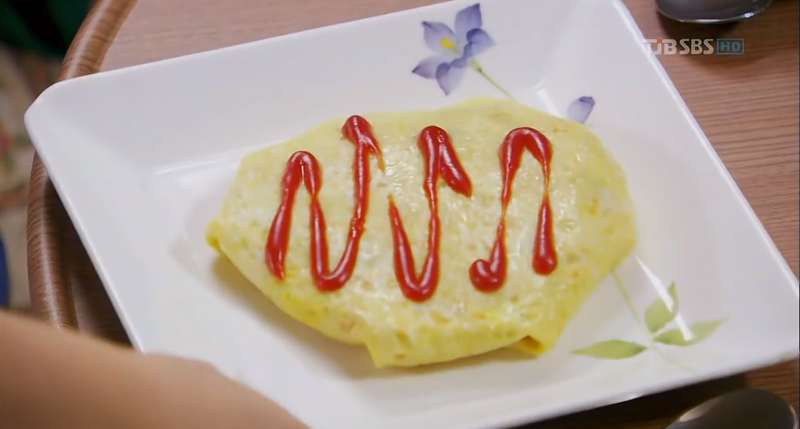 I saw omurice for the first time in the k-drama “Rooftop Prince”. 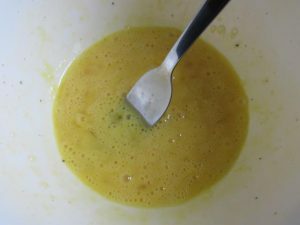 It was the favorite dish of the prince and his companions. 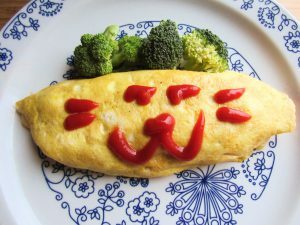 Omurice is very easy to prepare, very filling and very delicious. 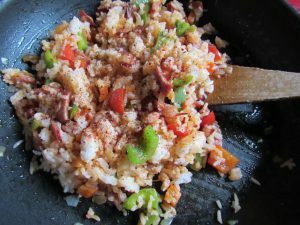 Stuffing can be done in various ways by adding various ingredient. 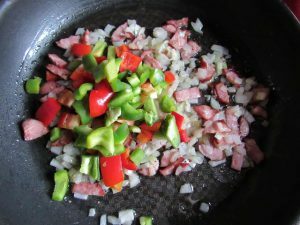 My favorite stuffing is sausage, pepper and onion. Simple and delicious. 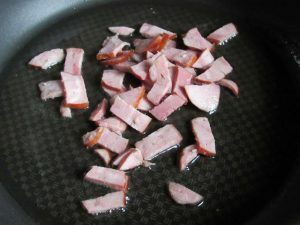 1.Fry sausage in oil for 4 minutes. 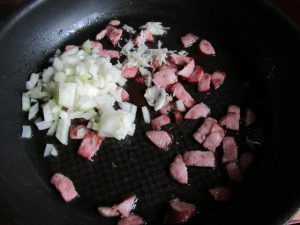 Add garlic, onion, stir and fry for about 4 minutes. 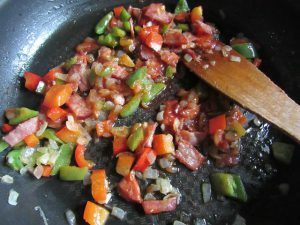 Add the pepper and fry until the pepper becomes soft. 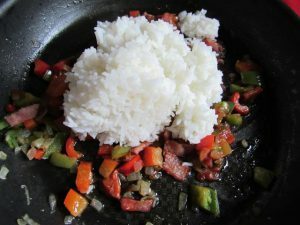 2.Add the rice to the fried vegetables and sausage, mix thoroughly. Then add ketchup, season with salt and pepper, stir. 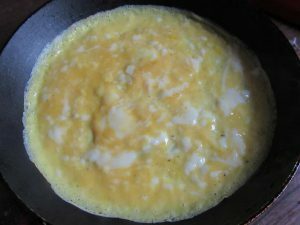 3.Fry each omelette separately. 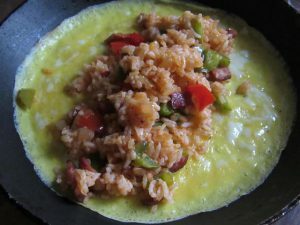 Lightly beat the eggs with a fork. 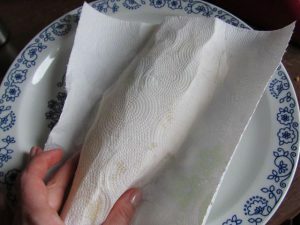 Pour onto a lightly oiled pan. 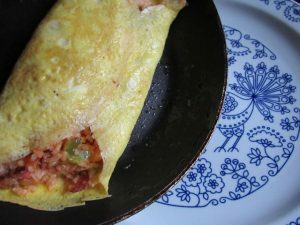 When it is almost ready, put half the filling on the omelette, wrap the sides, hold on the pan for 2 more minutes and put on the plate, drain the excess fat with a paper towel ,garnish with ketchup. 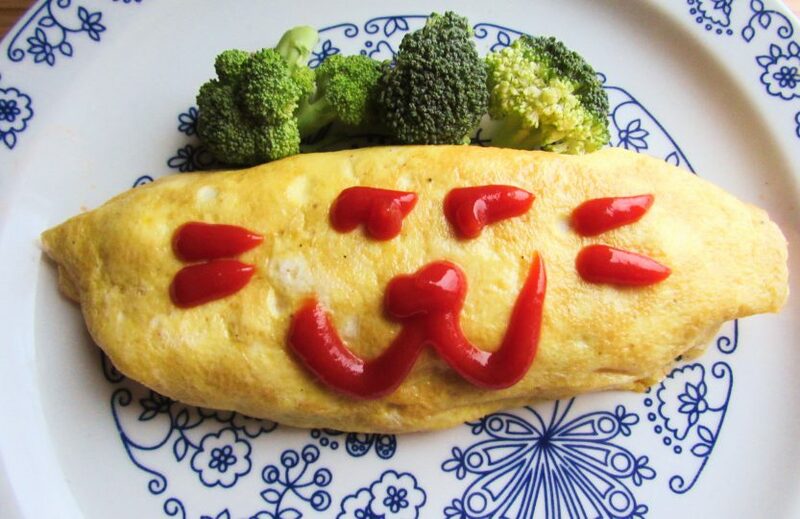 Do the same with the other omelette.